This style of menu page allows you to build an App without using (bottom) tabs. 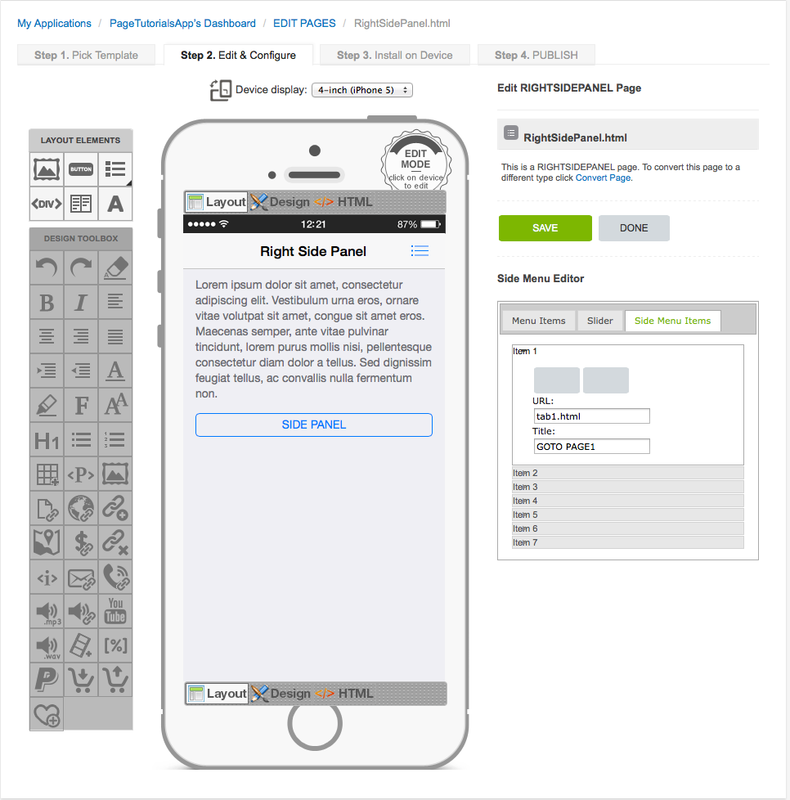 This page type features slide-out buttons that open from the right-hand side of the handset. The 'List Icon' button at the top right of the page opens the list of editable menu items. 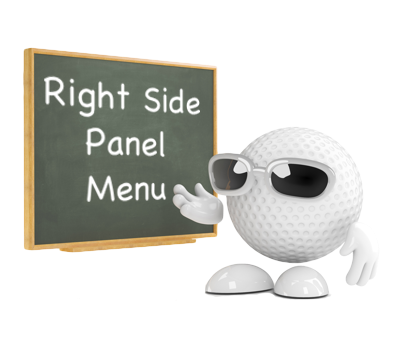 Each button on a 'Right-Side-Panel Menu' page features one line of editable text. Each button can be configured to link to another page or execute a specific function. A maximum of 7 Side Menu Items are available. All buttons featured throughout iCaddy Apps are customizable. You can change various button properties on this page type via the 'Side Menu Editor'. For information on how to edit the buttons on this page type, go to How to Edit a Button.